tick borne encephalitis – What is dangerous insidious virus and whether it is possible to recover? Tick-borne encephalitis virus refers to virus diseases natural focal nature. The virus mainly affects the central and peripheral nervous system of the sick. Depending on the nature and severity of symptoms is customary to distinguish different forms of tick-borne encephalitis. on, the form in which the disease occurs, and how the symptoms of tick-borne encephalitis pronounced, It depends on the prognosis and the effectiveness of its treatment. note! Severe form of the disease flow, despite the timely treatment of tick-borne encephalitis, may terminate the development of paralysis and disability suffered from bite. and Ixodes Ricinus or European forest tick, that is common, respectively, the European territory. 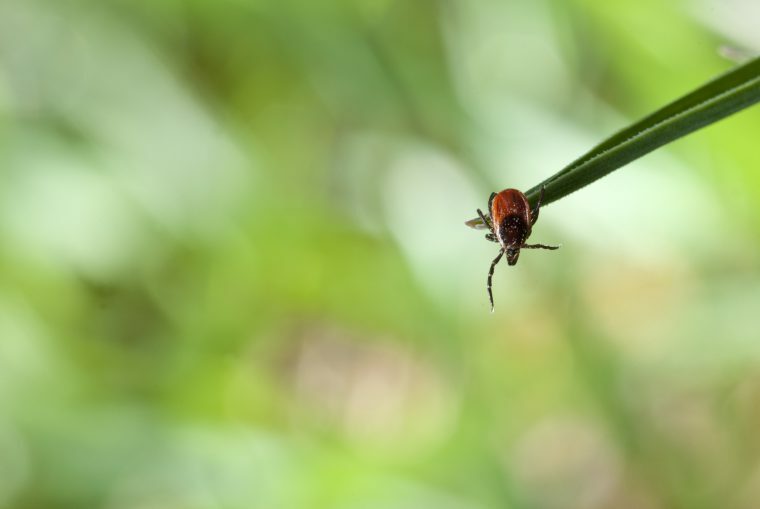 The peak activity of the first species is in April-May, and ticks of the second type are particularly active twice a year - in April-May and August-September. Man infected with tick-borne encephalitis virus during that period, while stuck tick feeds on blood. Female mites can continue to power for a few days, while increasing in volume over, than a hundred times. Males are more "humane" in relation to their victims - they are attached to the mammal body for only a few hours. but, it is dangerous, you can simply do not notice the tick until, when you leave. encephalitis virus, usually, transmitted within a few minutes after fixing arthropod on the victim's body. note! Among other things,, the virus can be transmitted to humans by eating raw milk products, derived from infected cattle and small cattle. Tick-borne encephalitis in children is particularly common for this reason. 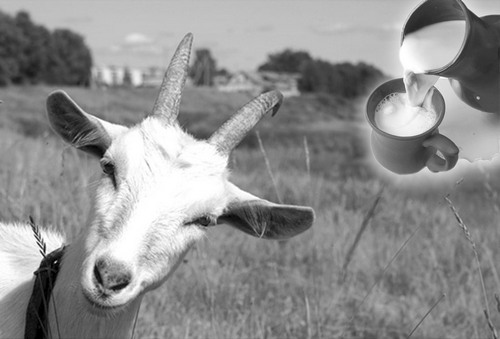 Therefore, prevention of disease includes, including heat treatment of milk, purchased from questionable suppliers, or total rejection of it. 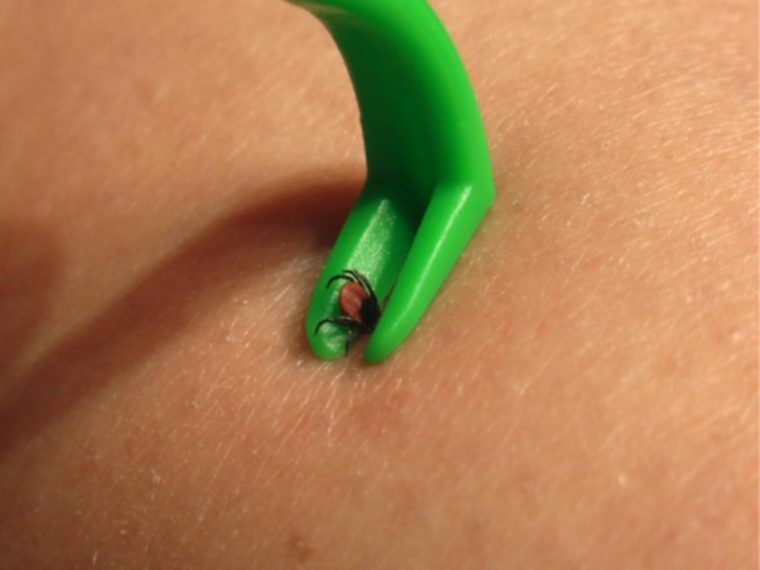 If you are bitten by a tick, and you deleted it yourself, keep it alive in a tightly closed container with a piece of wet fleece and turn to research in infectious hospital or SPP. If a positive analysis - not panic. Even in the case, if the pathogen got into your blood, it does not go on tick-borne encephalitis. Consult your doctor, which will prescribe the drug for emergency prevention. The overall picture of the disease is. After 7-14 day incubation period (depending on the shape of the flow, this period may be reduced to 1 day or last for a month, about this later) People began to notice at the first symptoms of the disease, such, how quickly the upcoming weakness, walking fatigue. There appears ill feeling muscle fatigue in your neck, "Numb" the skin on the neck and face. 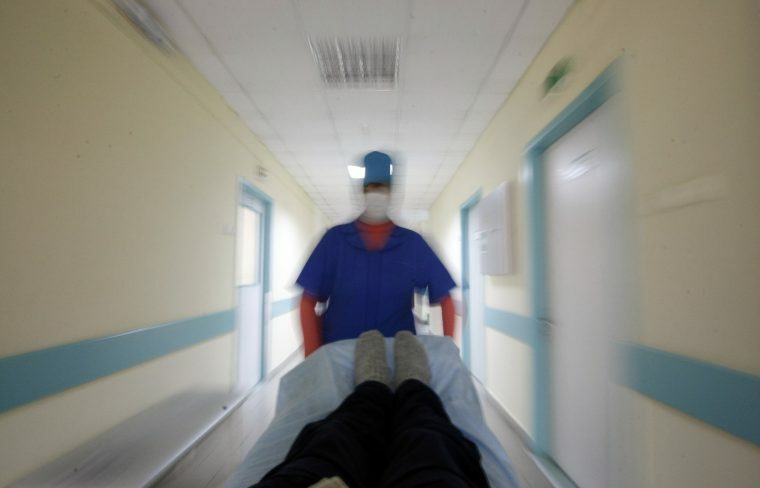 Sometimes the disease manifests itself sharply, there shivering, patient's body temperature may rise to 40 ° C.
During 2-10 days sick watching at fever symptoms, then there are severe headaches, nausea with vomiting, sleep disturbances. During the acute phase of the disease can often be seen reddening of the skin due to increased blood supply - or throughout the body, or on some available area. 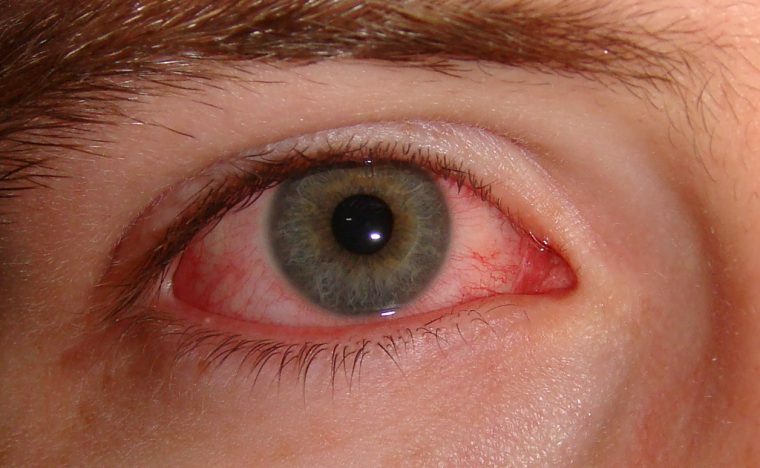 Haemorrhages occur in the oral mucous, pharyngeal, eye, as well as the conjunctiva. Muscle pain may occur in the limbs or the whole body, High intensity of pain syndrome characteristic of that group of muscles, which can then cause paresis or paralysis. Characterized by disturbances of consciousness, until the onset of coma. Customary to distinguish several forms of tick-borne encephalitis. erased. In this embodiment, the current prognosis, generally, favorable. Dominated by the common symptoms of an infectious disease, such, as fatigue, drowsiness, muscle and joint pain. Meningeal symptoms may occur, but are at the same transient nature and expressed slightly. Cerebrospinal fluid pressure can be in the normal range, or be somewhat elevated, changes its composition may be insignificant. meningeal. For this form of flow is characterized by acute onset and symptoms of common infectious, to which are attached the meningeal and cerebral manifestations. The patient's condition can be serious or moderate. In addition to these symptoms erased form, with meningeal encephalitis are observed during radicular pain of high intensity and mikrosimptomatika nervous system focal character - pathological reflexes, central paresis, specific characteristic movements of the eyeballs, and sometimes mental disorders. Diagnosis TBE at atypical during this moderate form of the disease (with blurred meningeal symptoms) It may be difficult. However, the pressure of cerebrospinal fluid in this form of flow has to be increased. Besides, it will be observed very characteristic changes. That time made liquor analysis helps the doctor to make the correct diagnosis, giving the patient a chance for a timely start of the treatment and its outcome is favorable. meningoencephalitic. severe form, ending, usually, fatal in the absence of measures for the resuscitation of the patient. It begins acutely with sharp temperature increase, vomiting and expressed headaches. disturbed consciousness, psychoses occur, the patient is delirious and hallucinating. Often there are seizures, paresis, manifestations of hypertonicity of muscles and other severe violations. Analysis of cerebrospinal fluid helps to confirm the diagnosis. Poliomieliticheskaya. Very severe, It leads to the development of atrophy of muscle groups of the patient and his profound disability. The disease develops, beginning with the common symptoms of an infectious disease, and through 1-2 days on their background appear gradually intensifying paresis of muscles in the arms and neck, passing in their atrophy. Polioentsefaliticheskaya. Severe brain symptoms, coma, violation of thermoregulation of the body, metabolism, trophic tissue disorders. Respiratory disorders, and visual systems. Prediction - unfavorable. Poliadikulonevriticheskaya. It is rare and is characterized by "radicular" symptoms. The patient feels pain along nerves, sensory disturbances, frequent ascending paralysis. The temperature increase may be manifested in a two-wave type with a period of relatively normal temperature and its subsequent new increase. Regardless of, Have you conducted prevention, the attending physician should prescribe bed rest and adequate treatment. Do not neglect the treatment of a doctor even in the mild form of the disease, because it is time to initiation of treatment will identify possible complications and determine the, how quickly you will be able to return to the normal rhythm of life. The most effective prevention of the disease - a vaccinations. Get vaccinated, you can at your local medical facility at the end of tick season. Vaccination against tick-borne encephalitis is carried out, usually, in three phases, and immunity appears at least through 14 days after, the second vaccination was given. Third vaccination is to consolidate the result. 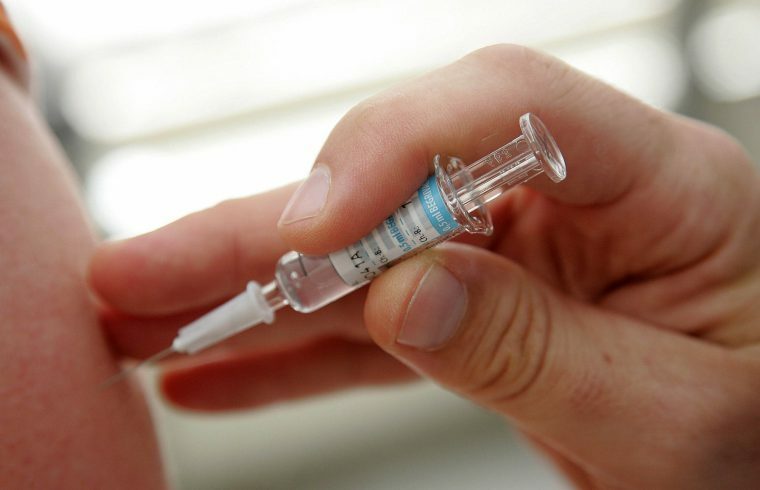 If a vaccinated child, he should receive specialized, childhood vaccines. there are drugs, that even kids fit by 1 of the year. After vaccination is extremely rare (in 5 % of the total number of vaccinated) side effects may occur: headache, at the site of administration swelling and soreness, allergic rashes. 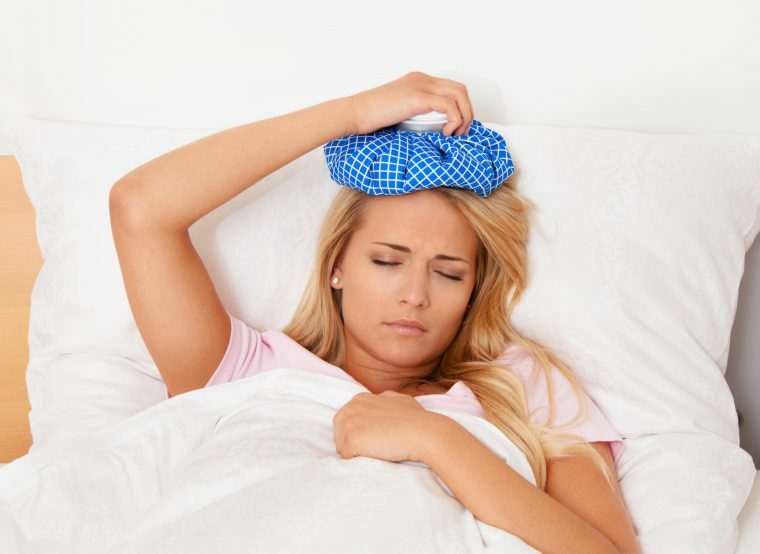 Do not worry, through 3-5 days these symptoms usually disappear. but, if they are very worried about you, be sure to consult a doctor. The incidence of temperature rise when administered domestic vaccine does not exceed, in turn, 7 %. Important! Be careful during the first hour after dosing, severe allergic reaction to the components may occur during this period. Use caution when visiting places of the favorite habitat of ticks - forests, meadows, parks. 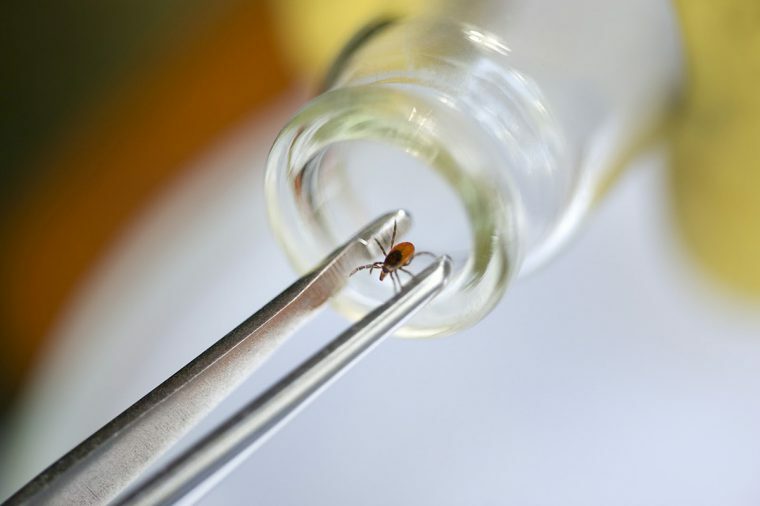 Timely and in accordance with the recommendations of the experts remove the stuck tick with alcohol and disinfect the bite site, and then turn in the intruder in a laboratory in vivo. Important! Do not use in removing a tick oil! This leads to an increased risk of infection. Sometimes, in order to prevent infection take medication Russian production Jodantipyrin. note! In drug contraindications! Prior to use, be sure to check its interaction with other drugs and consult with your doctor. directly at the time of detecting stuck tick - by 3 pills 3 r / d for two days; then - in 2 pills 3 p / q over the next two days; then - in 1 tablet 3 p / q over the next five days. The severity of symptoms of the disease and the shape of its flow further define its prognosis. With timely treatment in hospital infection for the first two forms of favorable prognosis, until complete recovery.